Breakfast is by far my favorite meal of the day. I could also eat breakfast food for any other meal and be totally happy. What about you? And if you take me out to a diner, no matter what time of day it is you’ll most likely find me ordering eggs, home fries, and toast. That’s what made me decide to make these egg scramble breakfast bowls the other day! They were super easy to throw together, everything cooked up in one pan, and it only took about 20 minutes to whip up! 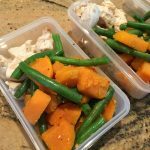 This is a great meal prep friendly recipe! Start out by cooking the potatoes according to package direction. 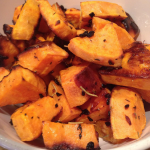 Most will call for oil and will tell you to cook them for about 15 minutes or until they start turning golden brown. While your potatoes are cooking, chop your turkey sausage into small pieces. Then, in a small bowl, crack open your eggs and whisk them together. Once the potatoes are almost fully cooked, add in your whisked eggs and scramble. 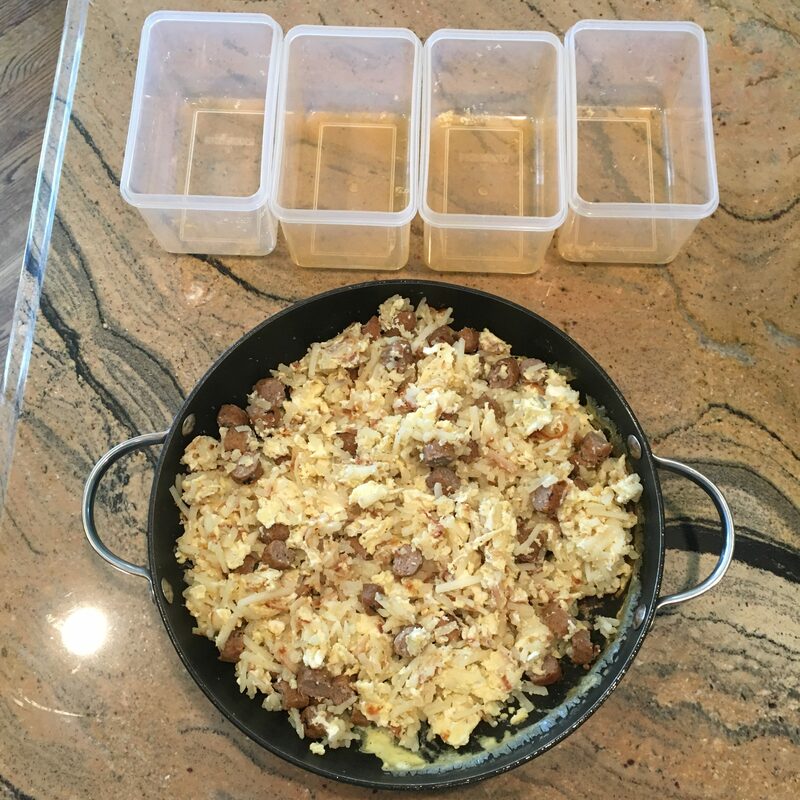 Once the eggs are almost fully cooked, add in your chopped turkey sausage. 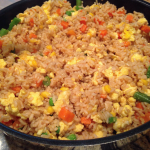 Mix everything together and cook until the eggs are no longer runny. You can either serve this immediately, or store in the fridge up to 5 days. Feel free to get creative and use regular sausage, pork roll, ham, or even bacon. You can even top with cheese at the end if you like! 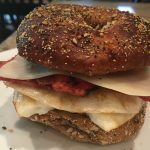 Do you need a lower carb option? 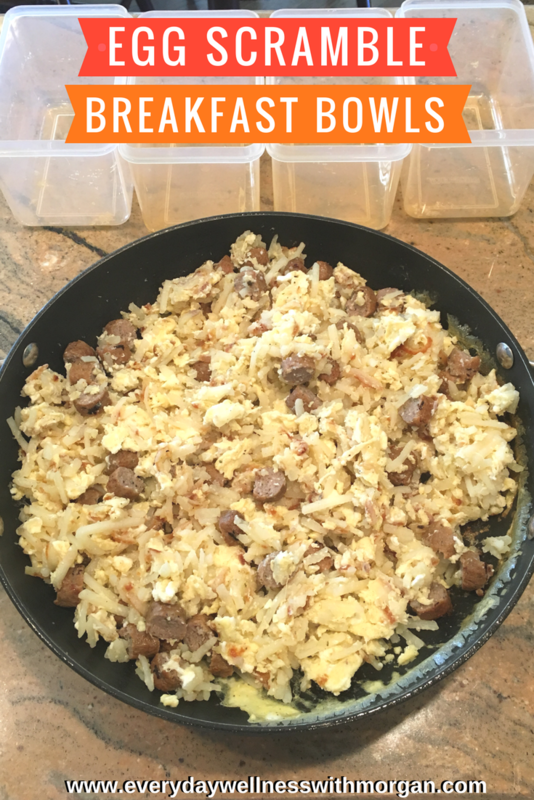 Try my Paleo Egg & Turkey Sausage Frittata instead. In a small bowl, crack open your eggs and whisk them together. Set aside. Once the potatoes are almost fully cooked, add in your whisked eggs and scramble. 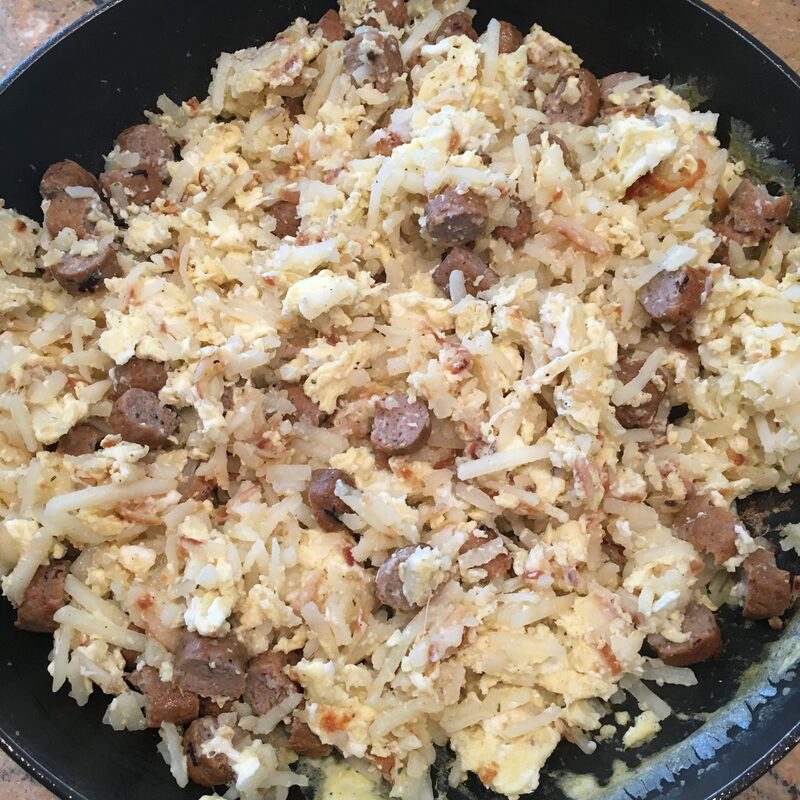 Once the eggs are almost fully cooked, add in your chopped turkey sausage, salt, pepper and optional garlic powder.